Microsoft wants parents to know its console is family-friendly. With the holiday shopping season in full swing, GamesIndustry.biz reported that Microsoft has released an Xbox Family Guide to help parents learn more about the Xbox One consoles they may be interested in purchasing for their family this year. The Xbox Family Guide will be handed out in stores throughout the U.K. this holiday season. According to GamesIndustry.biz, the pamphlet, in part, teaches parents about the Xbox One’s parental control options and why they’re important. GamesIndustry.biz said users can also view the guide’s contents online on the Xbox website. 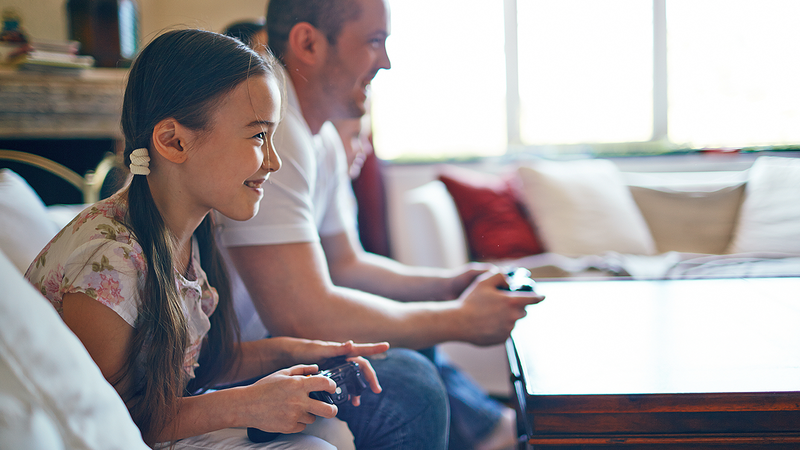 The website describes the console’s many parental control features, which let parents do everything from limiting how much time each child is allowed to spend on the console to preventing users from making purchases on the device without approval, and more. The website also provides a brief overview of games ratings (like the ESRB ratings in the U.S.), the console’s available entertainment apps (Netflix, YouTube, etc. ), Xbox Game Pass, (a subscription service that gives users access to over 100 games for $9.99 per month), and Xbox Live Gold (the platform's subscription service, which is required to play games online). If you’re interested in purchasing an Xbox One for your family this holiday, check out our Xbox Holiday Gift Guide for some great gift ideas your family is sure to love.